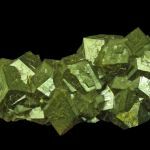 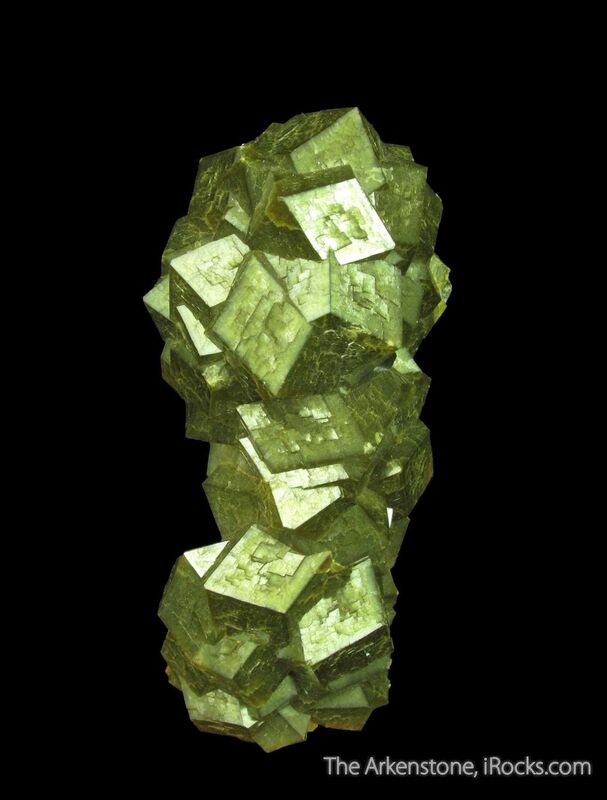 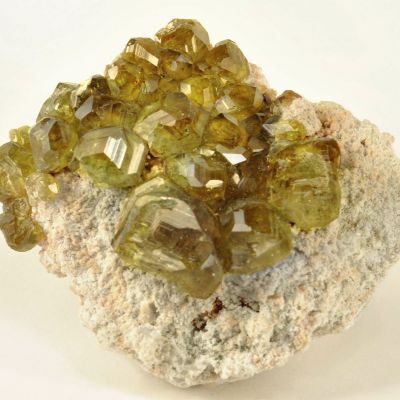 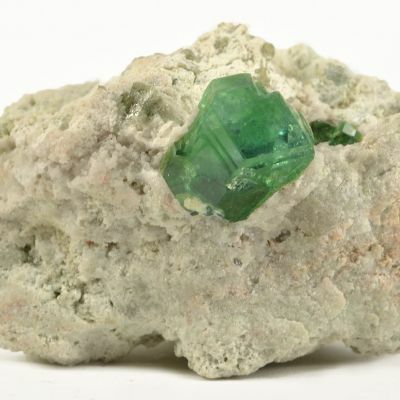 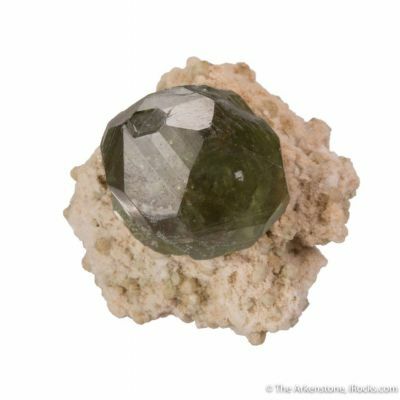 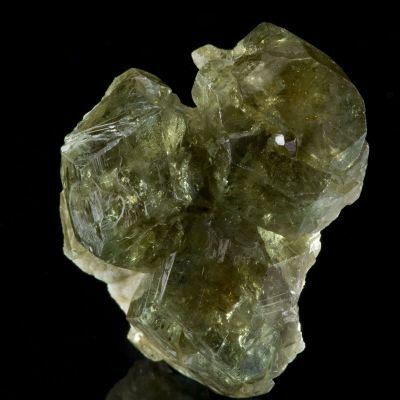 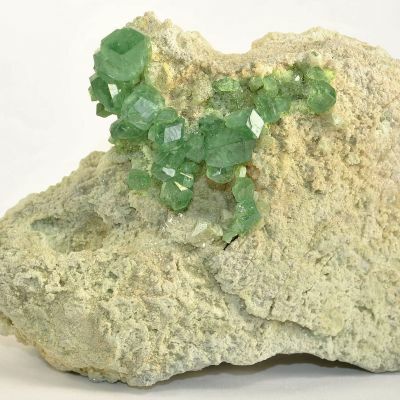 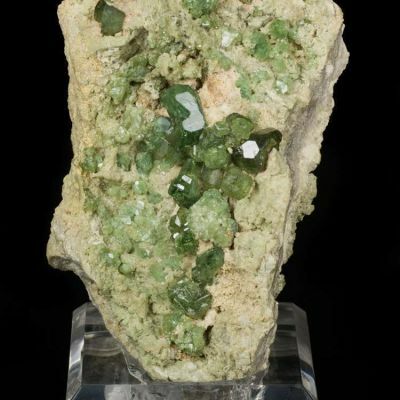 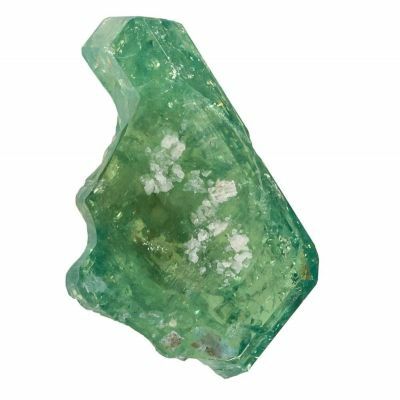 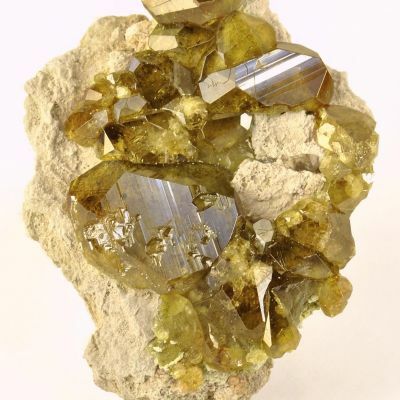 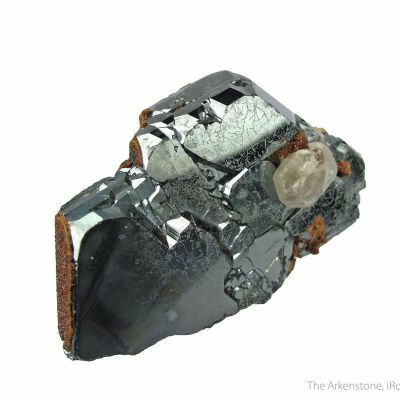 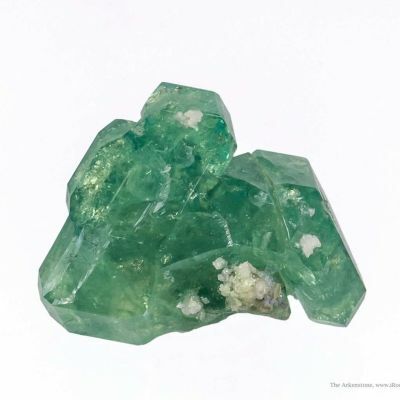 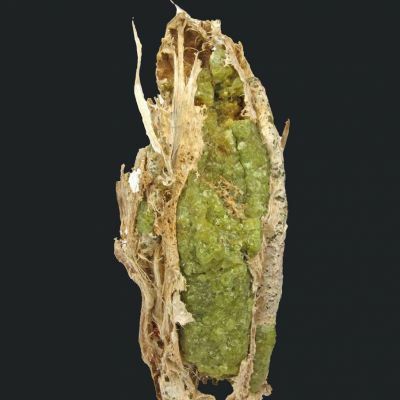 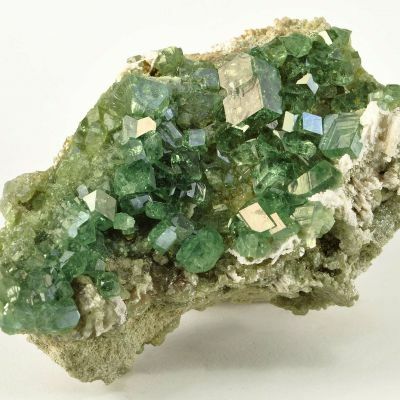 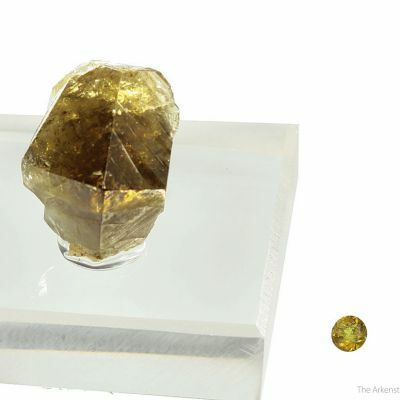 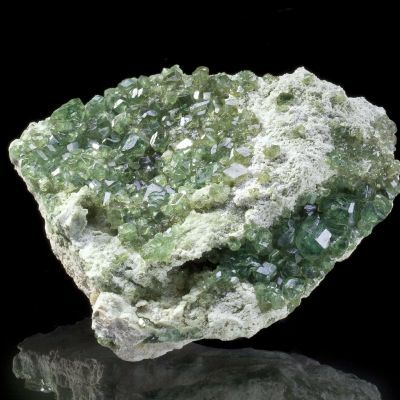 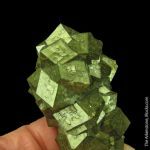 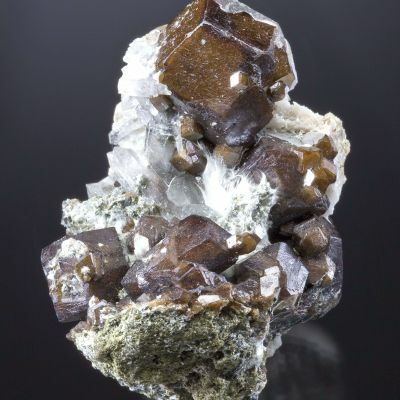 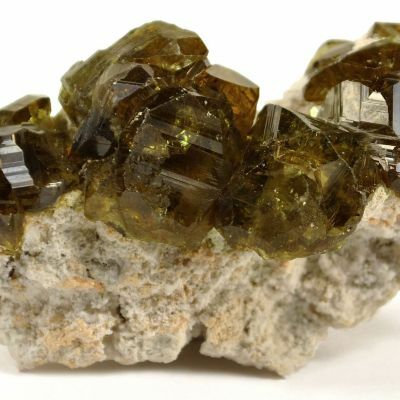 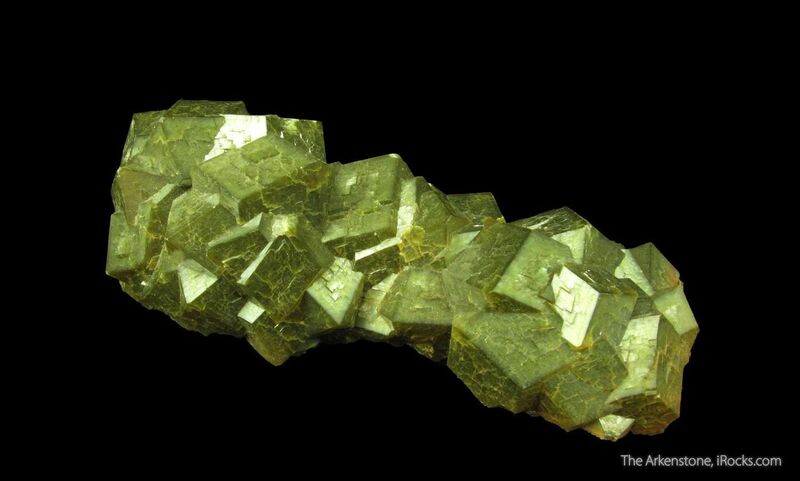 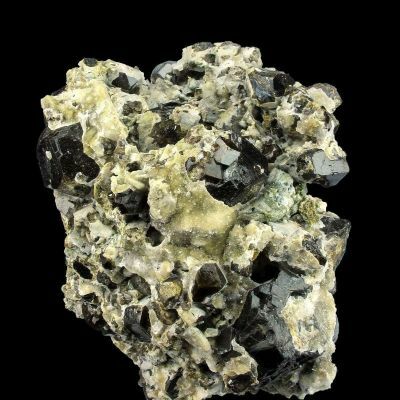 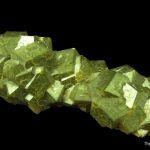 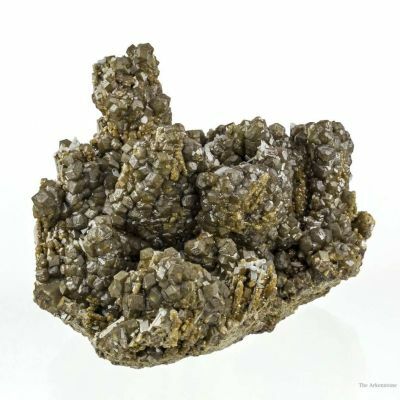 Highly recognizable, the Andradite Garnets from Stanley Butte have a unique iridescent, olive-green color and a metallic luster that causes the crystals to virtually glisten. 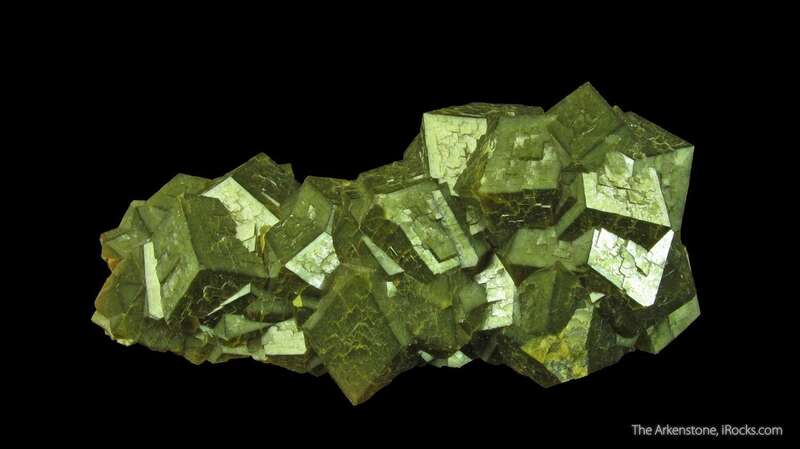 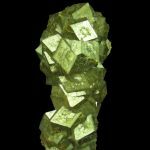 The rhombic dodecahedrons are sharp, intergrown, and have rhombic faces that are about 1.5 cm corner to corner. 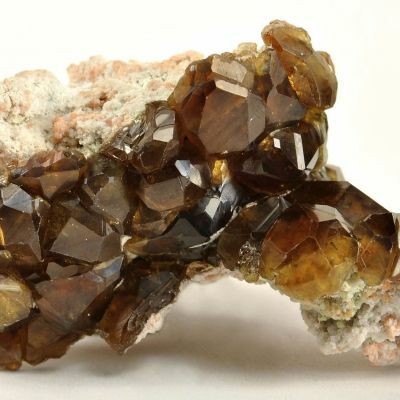 These well-known Garnets are seldom available from this locality, and certainly not in such quality with such a good aesthetics as this one! 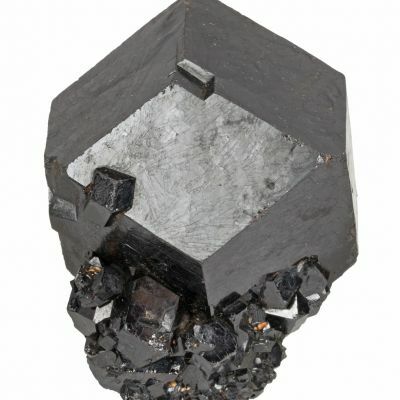 It is a superb small cabinet piece.